Quinoa is an amazing and versatile ingredient that is cholestorol-free, fat-free, and high in protein, iron and fiber. It is also a complete protein, which means it provides all of the essential amino acids. I use quinoa as a substitute for pasta and other grains because it is AWESOME. In fact, when Asher was a baby I used to mix cooked spinach with apple sauce and quinoa in a bowl and he literally could not shovel it down his throat fast enough! However, as soon as his fine motor skills developed he learned that this concoction also made a nice splatter of mess all over the walls and floors, and then quinoa became purely an adult entree in our household. 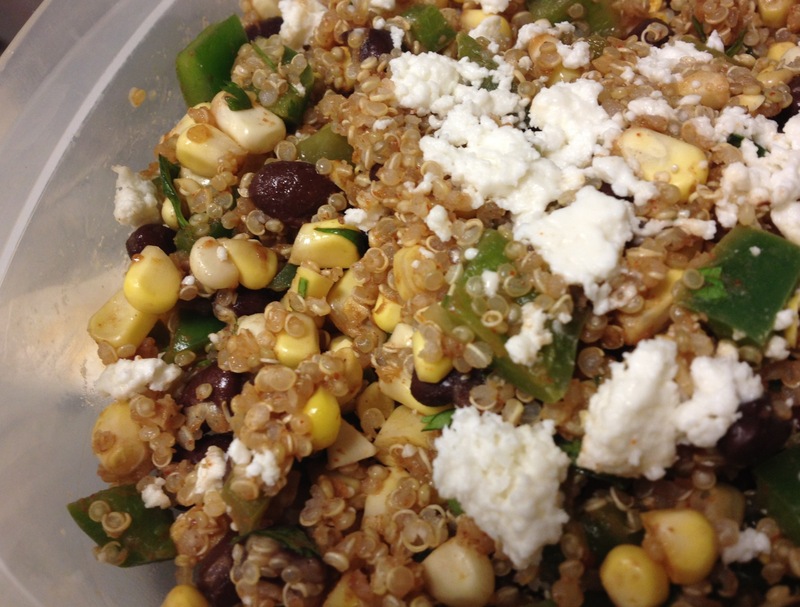 This week we enjoyed a delicious Mexican Quinoa Salad that would make a delicious addition to picnics or dinner parties, and also would work nicely as a stuffing in peppers if you want to make something easy to keep in the fridge for the weeek. Boil 1 1/2 cups water is small sauce pan, then add quinoa and simmer for 20 minutes. In small bowl, combine lime juice, salt, cumin, chili powder and cumin. When quinoa is cooked, let cool for an additional 20 minutes. Combine in mixing bowl with corn kernels, green pepper, black beans, and cilantro. Top with salsa and queso fresco when served. And did I mention this entire dish costs around $10?? Enjoy!